Griggs Orthopedics is dedicated to you, your recovery and getting you back to doing what you love to do. 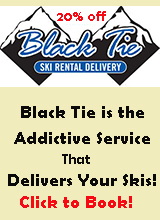 We love to ride, run, ski and keep you out of our clinic(s) and on the trails, slopes and roads.. gO ride run ski! Town Clinic of Crested Butte, PLLC is a medical clinic is staffed by Board-Certified providers providing both Primary Care and Urgent Care Services to the Crested Butte community. Established in early 2011, our staff and providers offer continuity of care and a consistent year round presence in town. We seek to provide evidence-based care in a form that meets the needs of all members of the family, and pride ourselves on providing accessibility, ease of communication, and continuity within a friendly atmosphere. Please let us know how our doctors and staff can help and feel free to call for more details! The state-of-the-art Alpine Surgery Center was built in 2006 by Dr. Gloria Beim with the goal of providing our community with an outstanding experience for out-patient orthopaedic surgery. Our surgeons are board certified and fellowship trained in knee, shoulder, hand and arthroscopic surgery and use their exceptional knowledge and experience to exceed the expectations of those we serve. Our providers have a combined 70 years of Orthopaedic surgery experience and perform total knee and total hip replacement operations. Skillfully educated staff with diverse training backgrounds aspire to give every patient the knowledge and tools to guide them through every step of the orthopaedic surgery process.